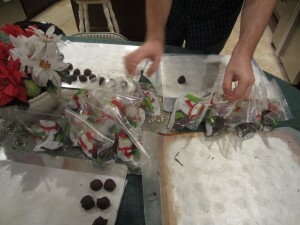 packing up our homemade gift – peanut butter balls! Kyle and I have had a great time this week visiting friends and family in his childhood home of the greater Los Angeles area. I have particularly been surprised by the candid conversations we’ve been able to have about personal finance. My interest in this subject area has grown with the age of this blog and I enjoy hearing about the view of money from people in my who are not personal finance professionals or enthusiasts. I’ve actually had very positive responses to bringing up PF-related topics over the past few months. Far from the expected awkward clam-up, the people I’ve spoken to tend to open up and talk very openly without much questioning from me. I do try to ask gently probing questions to start or continue the conversation (“Why did you choose to do things that way?” “What do you think about this vs. that?”) and people seem very responsive. I’m not sure if it’s something about my approach (or that most of the people know that we are very open on EPF about all these subjects) or just that the general stigma around talking about money is dropping away, particularly for young professionals. I also stay away from lecturing or expressing my opinion in a “you’re so wrong” way – not that I often feel that inclination because I recognize that my values aren’t the same as everyone else’s! Generally people ask for my opinion at some point so I give it when I feel it would be received, and certainly I keep my mouth shut if I don’t have much knowledge in the specific subject under discussion. I love talking about money because how you handle it and think about it really exposes a lot about your personality and values! Have you talked about PF-related topics this holiday season? Has anyone asked for your opinion? Do you like to encourage conversations about money? 22 Responses to "Holiday Conversations around Money"
I had to double-check which post you commented on because I wrote one on that exact situation last night! I’ll post it in the next couple weeks and I hope you’ll comment about those hard conversations. My family was never one to really talk about money openly. The only examples I can think of are more complaints about inflation. Like when my grandfather bought a new truck in 92 and it cost as much as his house did in 62. Or when he expressed regret that he didn’t spend a month’s earnings ($100) when he got married in 55 to pay a surveyor so he could receive some land offered to him as a wedding present. In 99, that parcel sold for over $1 million. I heard a bit of the same when my PILs talked about buying their first house, which they sold just a couple months ago. Oh, heck no. My family holds onto the idea that discussing money is quite crude. (I don’t agree, but I do respect them.) Unless it’s in the form of advice – say, about prudent investments or recommendations for financial advisors- everyone keeps quiet. But there is one exception. My godmother is quite forthcoming with how she and her partner structure their budget. I have no idea what they make, but she has explained the ways that they keep finances separate and maintain a household budget. Liam and I really appreciated this conversation, as we have implemented many of their exact techniques. None of our conversations got into income or net worth territory, which is what I would consider potentially crude. They often didn’t really seem to be about money specifically, anyway! I like talking about different ways married couples handle money, but every non-joint system still leaves me baffled (which I normally don’t say)! It’s really difficult discussing money with family sometimes. I’ve found that if I start talking with my Mom (who loves discussing money), my siblings start to join in and begin asking their personal finance questions as well. What do you mean by the “marriage penalty”. I was having a discussion with a family member earlier about the strange tax incentives for married folks vs single people, is that what you’re referencing? Do you like talking about PF with your mom but not your siblings? I would love if my family seemed interested in discussing it! The marriage penalty refers to the standard deduction for a married couple being less than twice the standard deduction for a single person. Right now the marriage penalty has been suspended but it is slated to return with the fiscal cliff. Honestly, I don’t think we have experienced ANY tax benefits from getting married and I know usually there are detriments like the marriage penalty so I am curious which ones you discussed. The marriage penalty is actually more complicated than that and concerns the way the marginal tax rates work. People who are married and earn about the same income are subject to the marriage penalty– they’re taxed at a higher marginal rate than they would be individually. People who earn wildly different incomes (a high earning husband and a SAHM for instance) actually receive a marriage benefit because the higher earners gets a lower marginal tax rate. There is no way to suspend the marriage penalty– it is something that mathematically has to happen one way or another (again, it’s a bit more complicated). I’m familiar with the phenomenon you’re talking about, though I don’t know the name for it! I actually had a little argument with my MIL about marginal tax rates for married couples, telling her that they are different from double singles. For people with different incomes, it’s actually a marriage advantage, isn’t it? It’s not something we’ve experienced so far as we have the same stipends. The component of the marriage penalty that is being talked about in the media right now is (at least) the standard deduction changes, but I’m sure you’re right that the term can refer to multiple parts of the tax code. It’s been a busy week with the finance talk (maybe a sign of economic recovery). This year some parents of one of my friends asked if I’d go over their finances. I’m also meeting with my sister to help her straighten out their money troubles. That’s wonderful! Good for you and them! 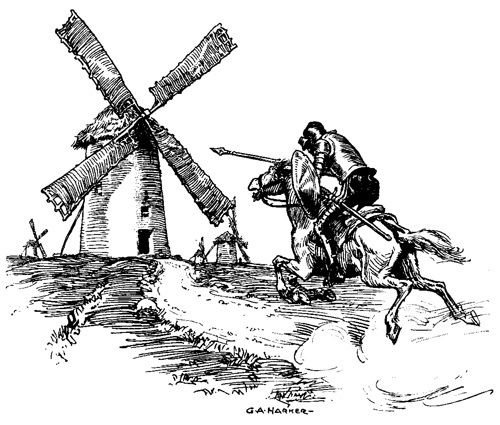 It is frustrating to hear people complain when they are unwilling to change! On the other hand, I had an awkward conversation with my mom when I said that my brother could probably move out with 25% a month less income than he estimated he needed because I have no problem living on 25% less than that, and she said, “I don’t know, that’s the amount you’d make at an X-a-year job, which I think is not much to ask for a starting salary for a college graduate.” I know that wasn’t supposed to be a criticism of me, but…OUCH! That’s what I get for critiquing someone else’s financial plans, even though I still do think that if his priority is moving out, he doesn’t need that much money to make it happen. Yeah, sometimes it’s better to talk in general terms about the fiscal cliff…. I think your dad and husband are smart to marry such financially savvy women! Well, your mom was right, wasn’t she? We’re accepting our grad school pay only because “the total package is worth more” with tuition and because we’re training for something better. And I would hope that a person could live on less than the job he expects to have because you need to have room for savings and debt repayment if applicable! But I agree your mom could have taken a different tack in that conversation. Funny — we talk about money a lot more now that they know about my blog! I think we talk more now that I’m blogging, but I don’t know if the difference is the blog or my interest. I’ve found that people in LA are much more open about talking about money than people in other parts of the country. Hmmm, very interesting! I never thought about it being a regional difference.